The convenience of a mobile mechanic ensures that you are not out of pocket on time and money trying to arrange alternative arrangements when your car needs attending to. We arrive equipped at your preferred location, and that can be anywhere you like. Easier to have us service your Toyota at home? Or would you prefer your service on Holden to happen at work during the day? What is the easiest way to ensure that we attend your Hyundai in the most convenient way possible? Recently in your area we have attended to Proton, Daihatsu and Alfa Romeo. Repairs and servicing took place all on site and the mechanic had what they needed right there and then like valves, crank angle sensor and head gasket ready to go. Does your local mechanic in East Perth do house calls? We do. We are Australia’s #1 fleet of completely mobile mechanics who are local to everywhere including in Bicton, Maylands and East Perth. We service and repair your vehicle in whatever location that you specify. So you can have your car serviced wherever you happen to be like the office, your home address, or anywhere else that you are. 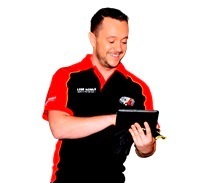 Our mechanics have serviced over 2,625 vehicles for owners at their chosen specified time throughout the last year. Our mechanics have commonly worked on Log book servicing in your local area and will arrive fully equipped to carry out a range of mechanical service work and repairs like radiator repair and replacement and throttle positioning sensor check. Our fleet even includes specialist tyre mechanics available for on site tyre replacement. The engine light has appeared on the dash on the car. When we say all vehicle types, we really mean it. Land Rover and Ford owners have received full service and repairs to industry leading standards wherever the work needed to be done, when they needed us to be there. Happy clients in Perth who have already experienced the ease and convenience of on site vehicle repair and service work have given us over 60 positive reviews. These are just some of the reasons why we have maintained our excellent service history and kept our customers. 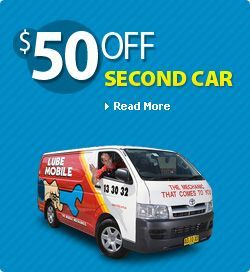 Receive a high quality service on your vehicle at the time and place that suits you with on of the 34 Lubemobile mechanics in Perth.